Ocean Freedom has two stunning destinations, one close to Upolu Cay and the other on the outer edge of Upolu Reef. Both are a part of the Great Barrier Reef World Heritage Area. This area is approximately 348,700 square kilometers, running along the Queensland coastline from just north of Bundaberg to the tip of the Cape York Peninsula, over 2,300 kilometers in length. 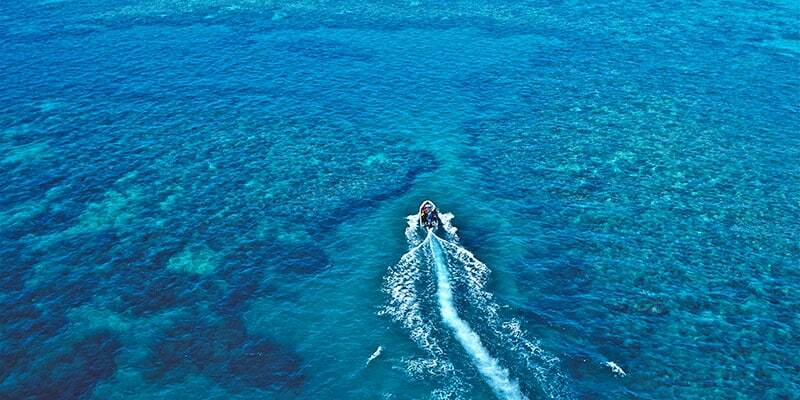 The Great Barrier Reef is made up of over 2,900 reefs. This includes 760 fringing reefs and 300 coral cays. Upolu Cay Reef (16-046) is a middle-shelf Planar Reef within the Cairns Section at latitude 16°40.5′ longitude 145°56′. Both of our destinations have been carefully chosen for their natural beauty and ability to deliver a first class Great Barrier Reef experience. A beautiful coral formation surrounded by crystal clear turquoise water. It is a moving, changing system: its shape and size change with the currents, wind and wave action. In certain conditions when the cay is visible and conditions allow, guests are actually able to land on the Cay. 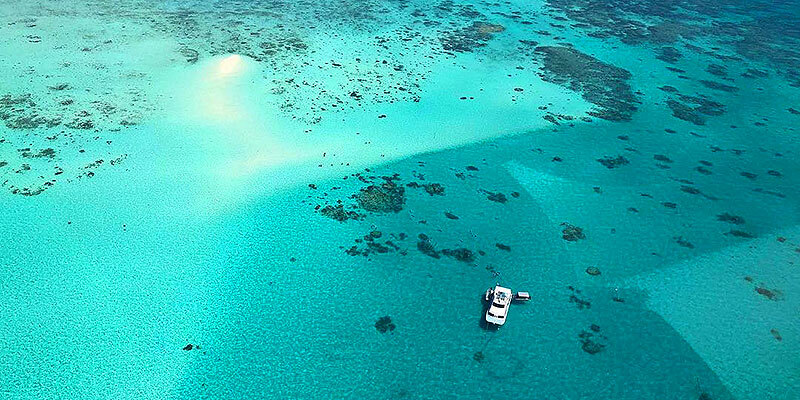 Ensure you get some photos at this memorable location, a pristine patch in the middle of the Great Barrier Reef. Upolu Reef boasts the amazing “Wonder Wall” streaming with sea life. Crew comment that they have never seen so many different “nemo” species on one site! Learn more about this amazing ecosystem on a guided adventure drift snorkel tour with our marine naturalist. He will point out the different types of coral, fish and marine critters, explaining their life cycle and importance to the reef environment.